Meet Bella Swan (Kristen Stewart). Bella had just moved away from Phoenix to live with her father (Billy Burke) in Forks, Washington. While there, she surprisingly meets Jacob (Taylor Lautner) first, complete with his long hair (the only time in the entire series where he actually looks like a traditional Native American…then he goes and cuts his hair the rest of the series). Anyways, the first few minutes of the film goes over Bella, and how much she is a soft-spoken-keeps-to-herself kind of girl. After basic introductions, Bella spots the Cullens. When Edward (Robert Pattison) seems to be repelled by her, she planned to ask him what his problem was until he showed up and acted like everything was fine again. Everything gets flipped upside down when she was almost hit by a van, in which Edward swooped in and used his super-vampire-strength to stop the van. From thereon, Bella starts to fall for Edward all the while investigating his odd nature, and background before finally realizing he is a vampire. Meanwhile, Bella’s father, Charlie, is investigating a string of unusual deaths around town dealing with what seems to be animal attacks when in reality we all know it was vampire attacks. We also know it isn’t the Cullen’s, as we are introduced to a trio of evil vamps, who are our antagonists of the first film. Okay, SO, Edward can hear everyone’s mind, but he can’t read Bella’s. That was stolen directly from the Sookie Stackhouse stories, except in “True Blood” it made sense. Sookie couldn’t read vampire minds because they were vampires. Maybe because they were dead, I don’t know. That gave her a reason to fall in love with Vampire Bill. She never met a vampire before, and as soon as she did she liked the peace and quiet. THAT was excellently written. In Twilight, it makes no sense why he can’t hear her thoughts, there is literally nothing special about her. Unless they explained it by saying the obvious: there really is nothing going on in Kristen Stewart’s head. Something tells me that isn’t the situation here. So if you take that into account, it 1. Feels like a cheat, 2. Feels like it is used solely to advance the story. Now let’s talk about the elephant in the room. These flipping vampires sparkle. By now, anybody who is anybody knows that these vampires sparkle in the sunlight. WTF is that? Ever since this film came out I still find myself asking that question. Bella reads all up on vampires to find out who Edward is, and what? She couldn’t find one article that says vampires burst into flame in the sunlight? I want to watch a movie about a vampire, not a fairy. Just a basic observation might lead people to wonder how no one would be asking questions of the people who were so pale they might as well be mimes. Seriously, that was more than believably pale, that was pretty much white paint on the vampires’ faces. Maybe they were just getting used to their characters, maybe not, but the acting was pretty bad. Out of the main characters, Bella was probably the most unchanging, thanks to Kristen Stewart’s apparent robotic acting style. The thing is, that Bella’s character in the book was written in such a way that lacked uniqueness on purpose so any girl could connect with her on some level. However, Robert Pattison was wrong for the role. The book had Edward as this tall guy with muscles galore, which gave the female reader an attraction. I will discard what the book says there, because a movie is its own entity, but Anna Kendrick’s character did say he was “obviously gorgeous”, I wouldn’t say that’s obvious. It’s a pale guy, with no muscles, and a elongated brow that only his Neanderthal mother could love. Moving on. I’m so torn on this film in regards to the entire series. The acting and the story were so sub-par in this one, but I can’t say it’s the worst movie because it was also very important for the future of the series. It needed that character development most of all. Once the characters were established though, the acting, storyline, and even final battle were all pretty pathetic, to be frank. So why does it win so many awards? Well if you notice, a lot of award shows are going digital now, and implementing votes by text, votes by internet, votes by phone call….guess who is on the phone all day? Forgive me for my sexist reply, but girls, teenage girls. For those award shows, Twilight wins nearly every award it is nominated for because of those girls who are obsessed with getting ‘Twilight’ through, even though it doesn’t deserve as such. 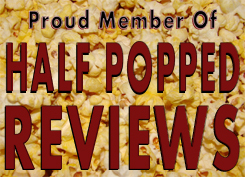 I have to say, watching it a second time ultimately awarded it with a lower score. The way I reviewed things back then were slightly different then they are now. I basically looked at a movie as a whole, how it looked and felt, and scored. I think I initially gave this 4 stars because it looks professional, and I’ve seen worse, and it kept my attention well enough. I didn’t however, look at individual attributes like acting and story. When I took a deeper look, that really docked some points there. So we end up with a 56%. 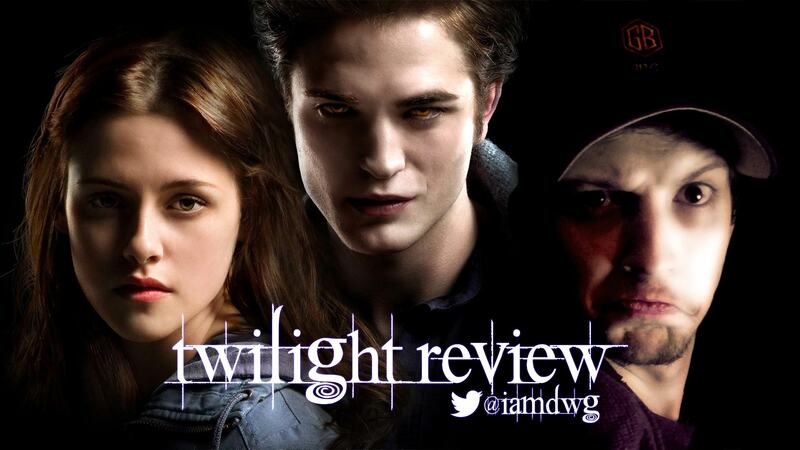 Come back later for my review on “New Moon“! I think Twilight comes in for a lot of flack, some of it a bit unfair. Sure, they aren’t the best films in the world and there’s plenty to pick apart but for who they are aimed at, they do a pretty good job. Believe me, I’ve seen them all and am not a fan but they do their job pretty well. Great write up, I agree with pretty much everything you say here, some good points well made!